A bake to order cookie company! 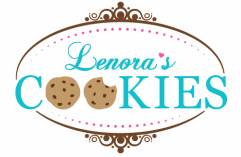 Lenora's Cookies specializes in baking decadent gourmet specialty cookies and cookie inspired Spread & Dips! We provide special attention for all occasions including weddings, bridal showers, baby showers, birthday celebrations, holiday parties, graduations, corporate events and any time you want to celebrate life's special moments. ​Our Spread & Dips are masterfully created without eggs, butter or flour, require no preparation, no refrigeration and there is no gluten added! This incredible whipped delight can be paired with everything from pancakes to a spoon. Whether you want to make your day extra sweet, or someone else's day, we are pleased to offer you a variety of flavors of fresh and delicious goodies! Visit our Special Occasions page for more pictures! Thank you so much to WNEP Home & Backyard for featuring us for the SECOND time! We had so much fun! Thank you to all our lovely cookie loving customers who ordered throughout the year! Visit our Store to see what sweet treats we are baking up for you and your friends & family! Thank you so much to The Blaze for having us on your radio show x2! We continue to happily ship in the U.S. sending sweet cookies and our unique Spreads & Dip's as far as Alaska! Want to brighten someone's day or wish them a Happy Birthday? Just write your message in the comments box upon checkout and we will add it to the package for you! Share your email to receive updates!